Pathfinders, located in sector 35-C, Chandigarh, is one of the top institutes which provides coaching in IELTS, TOEFL, GRE, GMAT, SAT, PTE, GRE+TOEFL. For the institute each client and his dreams are important. It has a dedicated team of professionals personalize career part's not what we are providing but how we are providing that has brought smiles of satisfaction on our clients’ faces and is the reason for our exemplary growth in such a short frame of time for students, based on their personal and financial requirements and ensure that they get nothing but the best. Pathfinders wish to be the best service provider with 100% client satisfaction with all successful smiles. A clear difference in its services and its approach keeps the student's interest all the time alive. It aims to promote educational opportunities abroad and to provide proper coaching for IELTS, TOFEL, GRE, GMAT, SAT. The teachers are highly qualified in the coaching institute and provide a healthy studying environment. There are regular test series which help the student to evaluate the results and their regular performance this also increase their knowledge and their efficiency in giving exams. The fee structure of Pathfinders coaching institute is affordable and economical as per the quality of the education provided. The fee structure of Pathfinders coaching institute is given above this article in the fee structure of the pathfinders coaching institute is given in the fee structure section. Good institution... Great place for IELTS coaching I have applied my visa through pathfinders and recieved my visa in one month... The staff is very polite..
best institute for spoken English ,PD classes are amazing Its an awesome institute for learning other languages. The faculty is daam good at teaching. It was an awesome experience there. this is one of the best institute with well experiance faculty. study material provided by this institute is enough to clear your basic concept. Moohita Kaur Garg Pathfinders is a Nice institute.. Cool atmosphere..Great place for IELTS coaching. Teachers are helpful and knowledgeable. great institute for english language... it made my confidence to rise to the sky. For career point of view , my god nothing is better then it. if anyone wants to learn and nourish his/her english speaking, then i recommend this institute as a first priority. Very nice institute,teachers are very interactive. Personal attention is given to each student. Assignment series is quite helping..Great place for IELTS coaching. Great institute for coaching. Teachers are qualified and cooperative.Infrastructure is great. A good study environment. Amazing teachers.. who lead yu to the path of success.. assignment series help alot to the students for gaining basic knowledge..
One of the best institutes in chandigarh. It provides you a proper path for excellence and help you in maintaing a great and a successful future ahead. this is one of the best institute with well experiance faculty. 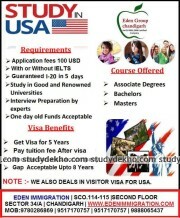 study material provided by this institute is enough to clear your basic concept. Pathfinders is a Nice institute.. Cool atmosphere..Great place for IELTS coaching. Teachers are helpful and knowledgeable. Very nice institute,teachers are very interactive. Personal attention is given to each student. Assignment series is quite helping. Teachers are very interactive. Personal attention is given to each student. Assignment series is quite helping. Teachers are interactive. Proper doubt sessions , Personal attention is there. Assignment series is quite helping. Pathfinders is a nyc coaching center... But the weekend classes get hectic to attend.. But if you want to really crack ielts..join this! Institute is very good. Teachers are helpful and knowledgeable. Study material provided and reached is best in class and easy to understand. Good faculty with up to date facilities. Provide very good study material with independent attention. Has higher success rate than other institutes providing same cources. The name pathfinders suits them perfectly coz they really help u find ur path.